Welcome to the ‘What to Wear This Month‘ series! Here are 15 November outfit ideas. Last month’s October outfit ideas were all about sharing some fall trends, as well as both casual and dressy outfit options. When I think of November, to me it’s all about family, baking, getting started on that holiday shopping list and figuring out how to layer for the cooler temps. I’ve included some outfits that are perfect for Thanksgiving day, but for even more outfit ideas, be sure to check out my post titled Your Thanksgiving Outfit Problem Solved. I share both virtual outfits and a few from some of my fashion blogging buddies. I’m continuing, just like last month, offering both casual and dressy options. I’ve included outfit ideas featuring sweaters, cardigans, dresses, slacks, and ponchos. Just to name a few. 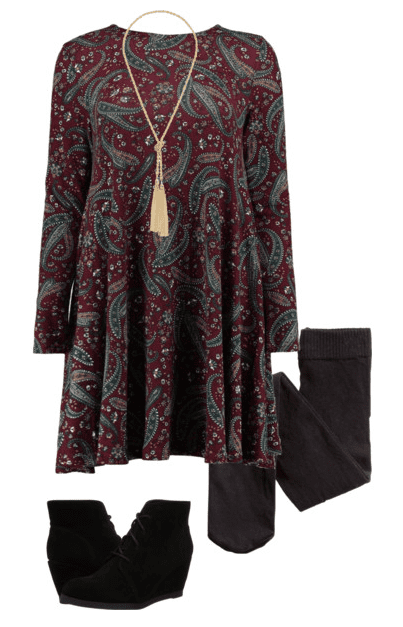 Check out all 15 November Outfit Ideas below. If you have any questions about a particular outfit or item from an outfit, don’t hesitate to reach out! 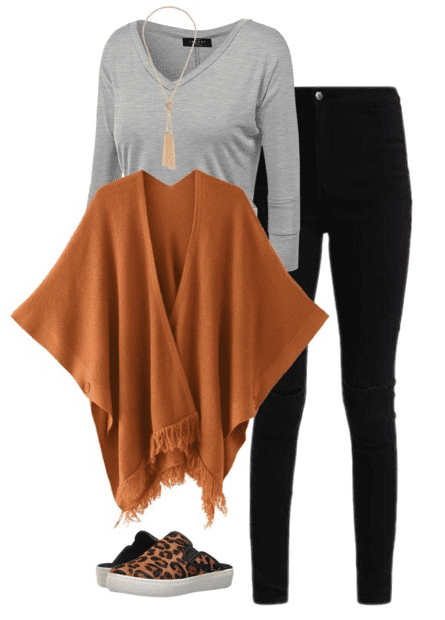 You can find links for this outfit in this How to Put Together a Poncho Outfit post. 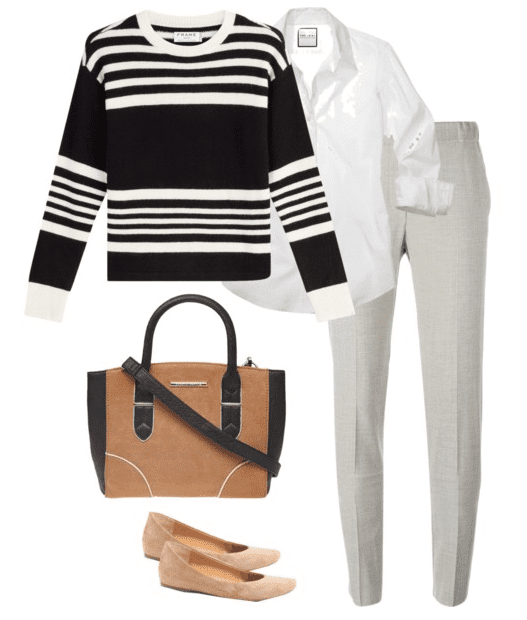 You can find links to this outfit in the A Little Fun with Winter White post. You can find the items in this outfit on the Retro 70s Style post. I hope you enjoyed this month’s What to Wear This Month post! For more fall outfit ideas, check out September and October posts here. Where can I find the suede boots in the outfit with the green sweater; jeans and white shirt? You stated in the 70’s retro style post but I don’t see the boots. Great job!!! !